I tried something new to me in book printing. Most of my images are in a 3:2 or 16:9 aspect ratio and after trying a few different options from Blurb and Magcloud I had settled on Magcloud's digest books in landscape orientation as my book of choice. I've written about these neat little books before here. I love these things for the great print quality and because they fit neatly in my camera bag as a mini portfolio. The only thing about Magcloud books that really bugs me is that they are no templates provided in Lightroom. Blurb templates are there and it is strange that Magcloud's templates aren't since Blurb bought the company quite some time back. I was using Adobe InDesign for my book layouts, as Magcloud provides those and it is relatively easy to use. Well, I had InDesign by way of a full Adobe Creative Cloud subscription at a promotional price for a year. The year ran out a while back and I decided that I wasn't getting enough use out of it to justify paying full price. I'm now back at the basic Lightroom/Photoshop subscription level and was thinking I was going to be out of luck for easy Magcloud book layouts. While poking around on Magcloud's site I noticed that their square books could be laid out in Lightroom. Hmm... I've always favored landscape orientation books for my images. Portrait orientation was definitely out. Square though...maybe that would work. I excitedly followed Magcloud's instructions for creating my first square book. Now, there isn't a native Magcloud template in Lightroom. Instead, you use a basic small square book. You can use all of Lightroom's built-in page templates for images and text. When you're done laying out the book you just export to PDF and upload to Magcloud. The process was even easier than what I'd been doing in InDesign with Magcloud templates. The Lightroom PDF is based on a 7" square size so the PDF file will get resized to Magcloud's 8" size after uploading. I was wondering if this would cause any noticeable degradation in image quality. 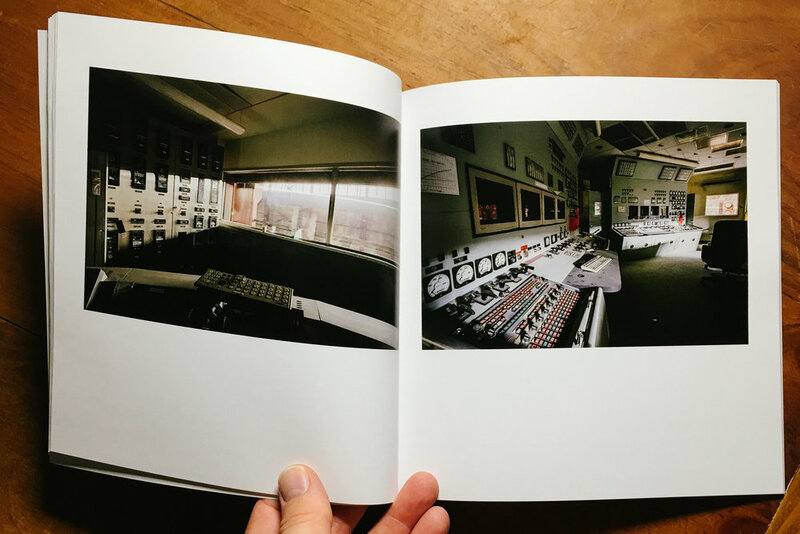 I'm happy to report that when my book came in after a little over a week, the images look just fine. Encouraged by my test run, I quickly put together another couple of books. I also did another version of my first book with a base page color of white instead of black for comparison. My digest books always had a black page but I wasn't sure I liked that in the square books. Again, after a little over a week my new order came in the mail. I was glad that I went with white pages this time. The square books have more empty page around the landscape oriented images than the digest books I was used to and the black pages made things look too dark. 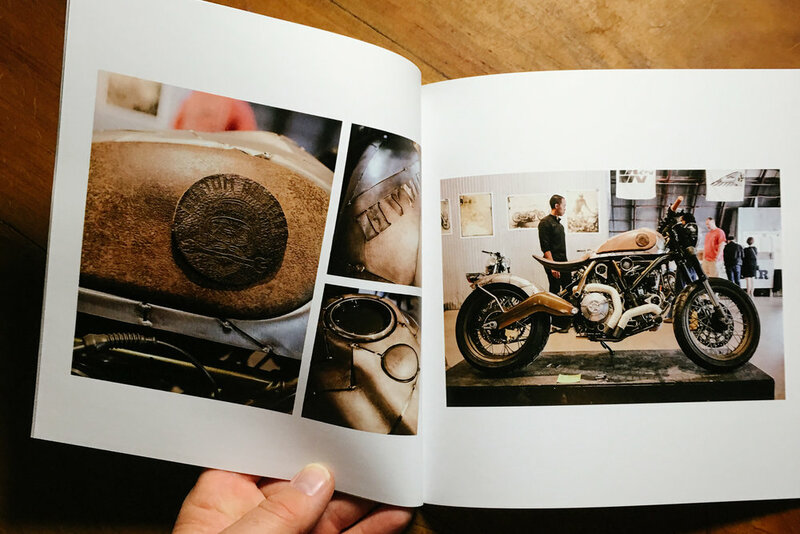 The white pages make for a classy matted look and the images seemed to pop off the pages a little better. I suppose image content plays a factor here so I may revisit the black pages for certain things. The square format is growing on me the more I look at and handle these small books. They are easier to hold and flip through than the almost half-sized digest landscape books (the digest books are about 5"x8" and the small square books are 8" x 8".) They perhaps look a bit more professional with the extra space they allow around landscape oriented images. Of course, square images work great. These square books really are more versatile than landscape or portrait oriented books! Carrying them around may be a little more difficult, depending on what bag I use. Unfortunately, the square books won't slip into my smallest (and favorite) camera bag. Sadly, my new print order had some issues. In one book a couple of pages were out of order. I double checked the PDF file and they were in the correct order there. I'm guessing things got shuffled somehow in the collation of the prints. The second book had a white line going through most of the images - some sort of printer issue. I could certainly see the first problem getting overlooked but I was surprised to see something this blatant make it through quality control. This isn't the first time I've had issues with Magcloud books. They have taken care of me in the past by quickly shipping reprints and I have their customer service department investigating this most recent problem. For the price and quality (when they get it right - which is the majority of the time) Magcloud books are hard to beat.